Friday sees the opening of the BBC Proms, 122 years old this year and still going strong. It is a significant feature in the British classical musical calendar and one of the best-known aspects of British music as revealed to the outside world. But beyond the Proms, this is a significant week generally for British music, for it sees the birthdays of no less than seven important composers, two world-class conductors, a distinguished pianist, one of the most important figures in the world of the classical guitar, and one of the pioneers in the field of popularising music through the written word; all of them British. Working backwards through that list, Donald Tovey was born on 17th July 1875 at Eton, where his father was a master. Early evidence of musical ability is shown by the fact that he was composing by the age of eight, was taken on as a pupil by both Parry and Walter Parratt and was the pianist for Joachim and his quartet between 1894 and 1904. 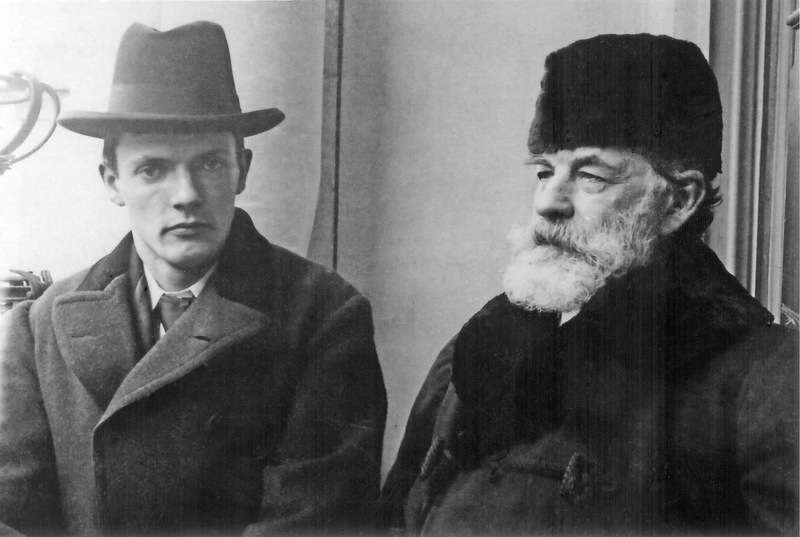 His compositions were performed in London, Berlin and Vienna and he gave performances of his own Piano Concerto under both Richter and Henry Wood. But at the same time Tovey was trying to educate audiences through his concert programme notes, which introduced a simplified approach to analysis and voiced very definite opinions on the music which many found unpalatable: his writings met with considerable hostility at first. In 1914 he was appointed Professor of Music at Edinburgh and, refusing to regard himself as an academic or scholar, set about popularizing music and explaining it to his students and others through the written word. 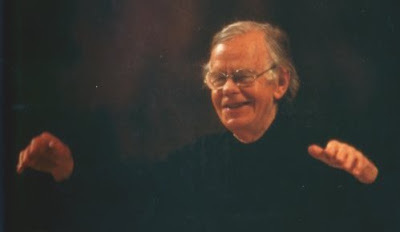 We can describe Tovey as the pioneer of the modern concert programme note in which context and analysis are offered but wrapped up in a style which is readable, entertaining, opinionated but profoundly informative. His essays on analysis remain in print and many modern-day students still look to him as an important reference source when preparing their own notes, especially on the Piano Sonatas of Mozart and Beethoven. I recall a fascinating television documentary about Julian Bream largely because it featured his old MG (I think it was) sports car and highlighted his calm, casual approach to life and his unmodified south London accent. Born in Battersea on 15th July 1933, Bream was enrolled in the Royal College of Music, where he was obliged to study cello and piano because the guitar, as he recalled in the documentary, was frowned upon by the RCM establishment; he had to practice it in secret. 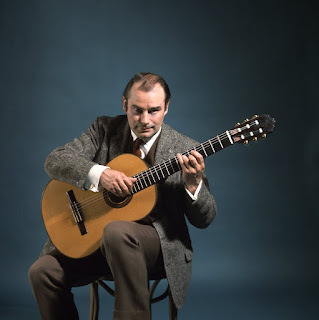 Throughout the 1950s he toured extensively, introducing the classical guitar to audiences who, like the British musical establishment, had never regarded it as a serious instrument. He did much to foster interest in English Renaissance music, forming a partnership with Peter Pears, and his affable character and brilliant musicianship endeared him to a generation of composers – notably Britten, Berkeley, Arnold, Walton, Tippett and Rawsthorne – all of whom produced works for him and thereby hugely enriched the instrument’s repertory. 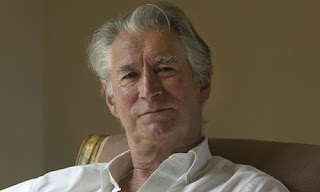 Now living in retirement in Wiltshire, Bream was honoured with a Lifetime Achievement award from Gramophone in 2013, on which occasion he said in an interview; “I devoted my life to music for a reason, and the reason wasn’t because I wanted to get on or make money, but to try to fulfil myself and also to give people pleasure. That’s been my credo”. Celebrating his 71st birthday yesterday, Roger Vignoles was born in Cheltenham on 12th July 1945. He has carved out a name for himself as a leading accompanist; a fact underlined by his vast discography which includes songs by Armstrong Gibbs, Barber, Beethoven, Brahms, Brian, Britten, Copland, Debussy, Duparc, Grieg, Mahler, Mozart, Rachmaninov, Rossini, Schubert, Schumann, Shostakovich, Richard Strauss, Tchaikovsky, Tomášek, Vierne, Warlock, Weill… The list goes on, but students in Singapore will probably best know Vignoles following his period in residence at the Yong Siew Toh Conservatory earlier this year when he spent time working through Wolf’s Italienisches Liederbuch with pianists and singers and endeared himself to everybody through his immense knowledge of the music, understanding of the art of performing and thoroughly charming and accessible personality. This year marks the 125th anniversary of the founding of what is now known as the Royal Scottish National Orchestra. 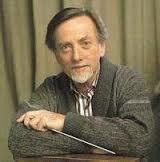 Among its roster of world-class principal conductors have been John Barbirolli, George Szell, Walter Susskind, Alexander Gibson and Bryden Thomson who was born in Ayr on 16th July 1928. Along with Vernon Handley and Richard Hickox, Thomson was one of the major figures in promoting British music both in the concert hall and on record, it being his good fortune to be at the peak of his powers just at the time that the CD came into being and the revival of interest in classical music that it brought, his recordings of Stanford and Bax symphonies effectively introducing these major works to audiences and revealing that the British symphony was far greater and more significant than most people had previously believed. I would still list his Stanford symphonies and Bax’s Tintagel among my all-time favourite CDs. He died of cancer in Ireland at the age of 53. If Thomson’s reputation was made in the world of recorded orchestral music, Reginald Goodall’s was made in the opera house. Born on 13th July 1901, he was a cathedral chorister in his native Lincoln, emigrated to north America in his teens, became organist at Toronto Cathedral, and returned to the UK to study at the Royal College of Music with Malcolm Sargent and Constant Lambert. He stayed in cathedral music, becoming Organist and Master of the Choristers at St Albans, but was determined to make a name for himself in the wider musical world as a conductor. He joined the Sadler’s Wells opera and on 17th June 1945 achieved his breakthrough when he conducted the world première of Britten’s Peter Grimes. Following a visit to Bayreuth in 1951 he developed a keen affinity with the operas of Wagner, conducing Die Walküre in 1954, and it was as a Wagner conductor that he finally made his international reputation; his Covent Garden Ring cycle was recorded and remains one of the most important versions available on disc. As a young critic with the Western Mail I remember interviewing Goodall when he conducted Wagner with the Welsh National Opera in Cardiff. I’m not sure either of us came out very well from the encounter, but my reviews of his Wagner performances in Cardiff were unrestrained in their enthusiasm for his perceptive and beautifully-crafted approach. Yesterday marked the 131st birthday of George Butterworth who, born in London on 12th July 1885 and brought up in Yorkshire where his father was the General Manager of the North Eastern Railway (a company taken over by Richard Branson’s Virgin Group earlier this year), looked set to become a significant figure in the world of early 20th century British music. 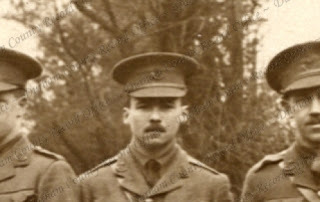 Tragically, he was killed in the Somme serving during the First World War, but in his songs – notably settings of Housman – and in his Housman-inspired orchestral rhapsody, A Shropshire Lad, he has secured a lasting legacy which seems to grow as the centenary of his death approaches; he was killed on 5th August 1916. Another significant English composer of the first part of the 20th century, famous particularly for his songs especially those which set Shakespeare and Hardy texts, was Gerald Finzi, who was born in London on the 14th July 1901. He died in 1956 when I was two, but I have twice come into indirect contact with him during my professional life. Back in 2002, shortly after joining Trinity College London as an examiner, I was sent to a small private school in Berkshire where, among the staff was a charming lady called Finzi. I well remember how she introduced herself to me: “You won’t have heard of him, but my father was a minor composer who had a few things published but is now mostly forgotten”. I was able to say, not only that I regarded him as a significant composer, but in the very same week I had performed with my choir at evensong Finzi’s fabulous anthem, Lo, the Full Final Sacrifice and had accompanied a singer friend in a performance at a local music society of Finzi’s Let us Garlands Bring. A decade later I found myself working in the Music Centre at St Andrews University where I spent much time sorting through a large collection of printed scores which Finzi had given to the University. What connection he ever had with St Andrews I never knew, but it was wonderful to leaf through all those books which had once been in his own private possession. Finzi’s reputation is, like Butterworth’s, still on the rise as we approach the 60th anniversary (on 27th September) of his death. Two composers well-known for works which became popular radio and television theme tunes share 15th July as their birthday. One of the theme tunes which has stuck in my mind ever since childhood was Elizabethan Serenade – although I cannot for the life of me remember which programme it heralded. 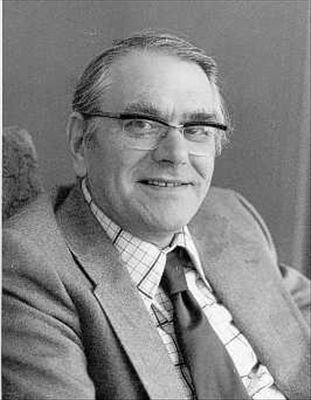 Its composer, Ronald Binge, was born in Derby on 15th July 1910 and he was one of the major figures in the British light music movement which has come so much back into fashion following the series of fantastic CD releases from Guild, Hyperion and Naxos. My own personal collection contains no less than 10 pieces by Binge, of which The Watermill remains a particular favourite, while Sailing By has become such an iconic radio signature (for the late-night Shipping Forecast) that when the BBC announced plans to scrap it, there was a huge public outcry and it was retained (tune in to BBC Radio 4 around midnight UK time to hear it). In the concert hall, I heard a performance of his Saxophone Concerto a couple of years back in Australia. Binge had been a cinema organist and an arranger, and is credited with having devised the cascading strings effect which was the hallmark of Mantovani’s orchestra in the 1950s. The serialization of John Le Carré’s novel Tinker, Tailor, Soldier, Spy starring Alec Guinness developed something of a cult following when it was first broadcast in 1979, and the theme song – a setting of the Nunc Dimittis by Geoffrey Burgon (born in Hampshire on 15th July 1941) - quickly found its way into the charts. He did write a Magnfiicat to go with it so that together they could be used as Evening Canticles in the Anglican church, and I put it in the music lists many times during my days in cathedral music, but, frankly, it had none of the magic of the haunting Nunc Dimittis with solo treble and trumpet (Geoff’s own instrument - he used to play it with the London Mozart Players). Far more successful was his other film and TV work – including Dr Who, The Life of Brian, Brideshead Revisited, The Chronicles of Narnia, The Forsyte Saga - even if he often regretted that his “serious” work for the concert hall never made the same impact. 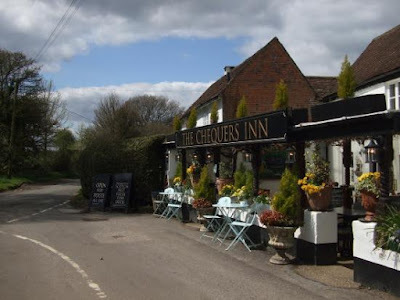 I have the honour of having played jazz with Geoff once or twice during my schooldays when I took part in informal sessions at his pub, The Chequers in Well, the tiniest and loveliest village I know, nestled deep in the countryside of north east Hampshire. Geoff died in 2010. The Chequers at Well: Jazz, Real Ale and Country Air - what more could you want? July 15th also saw the births of two very different British composers. 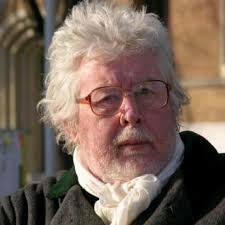 Harrison Birtwistle was born that day in 1934 in Accrington, near Manchester, and stands today as a leading figure in the avant-garde, prompting the current edition of Private Eye to run a cartoon – inspired by the plagiarism charge brought against Led Zeppelin and their song Stairway to Heaven – in which Mrs Birtwistle is opening the mail and tells her husband, “Someone’s tom-cat is suing you for plagiarism, Harrison”. Having just listened to a recording of Birtwistle’s The Moth Requiem (BBC Singers/Nash Ensemble, Nicholas Kok – Signum Classics SIGCD368) there are times when I think the estate of the late Lord Britten might have a case, but mostly this is highly original music which is a world away from the sweet charms of Binge. As is the music of John Casken who was born just over the Pennines in Barnsley on 15th July 1949. Casken burst into my consciousness when a recording of his opera Golem was on the short-list for a Gramophone award. I was struck then how he used microtonality to great dramatic effect, but apart from his Cello Concerto and a short choral piece called A Gathering, I regret I have neither encountered nor sought out anything else by him. That must change; the celebration of birthdays is often a good time to set records straight. I am on a John Casken music hunt for the rest of the week! But I certainly do not need to go on a James MacMillan music hunt; if I had to name my “favourite” living British composer, it would have to be him. 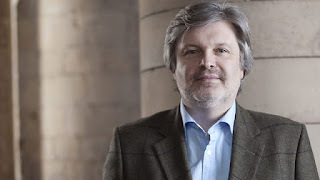 I wrote a profile on MacMillan for Gramophone a few months back and will honour his birthday (16th July 1959) by reprinting it on this blog. What do I admire about him? His willingness to absorb influences without conceit, his strong personal commitment both to a religious faith and to his native Scotland, and his unashamed evolution of a distinctive and wholly original musical voice which defies stylistic pigeonholing. What do I love most about his music? That it exists! Long may he write more, long may British music continue to flourish, and Long live the Proms (the perfect antidote to the Political shenanigans and upheavals of the past few weeks).